I'm clearly not a morning person so I rarely go to events before noontime. 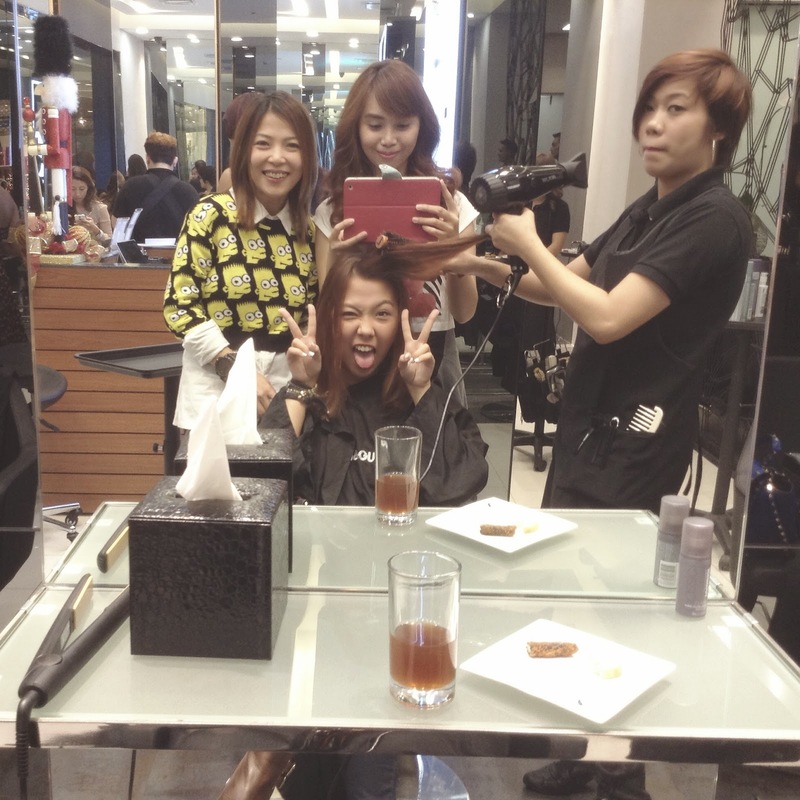 But when it's a pamper or makeover session (plus from my dearest ARC PR), even if it's reallyyy early, I can't say no. 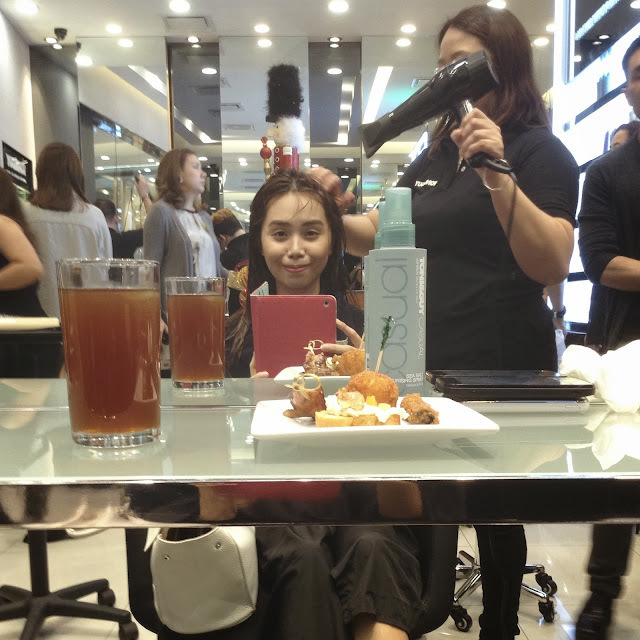 :) Just like last Wednesday, I attended the 10AM event of Toni & Guy at SM Aura Premier. 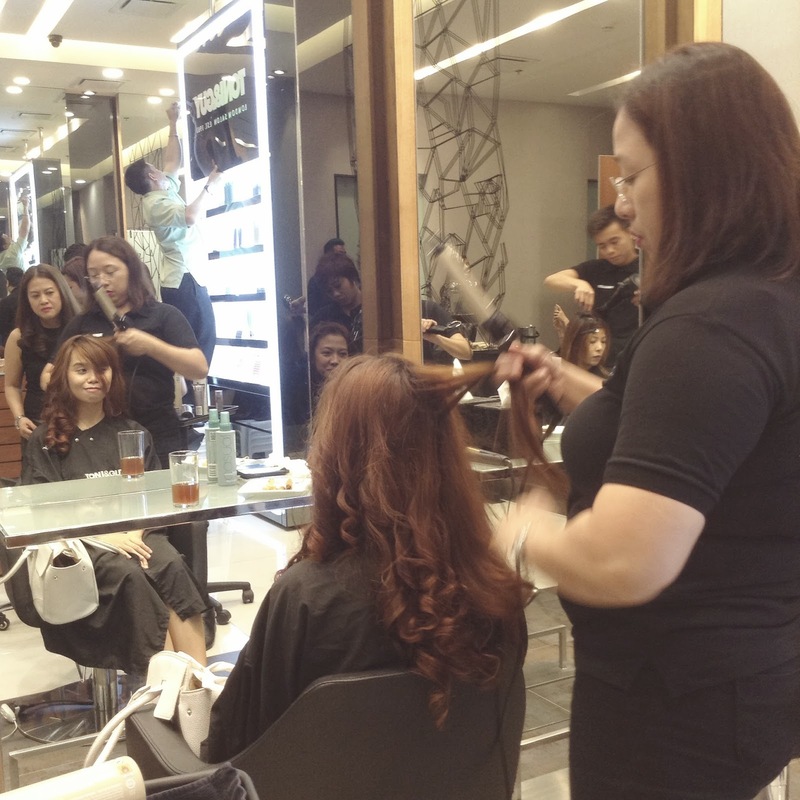 This known and trusted salon recently came up with beautiful and stunning hair-dos for this season, which we can don confidently this holiday! 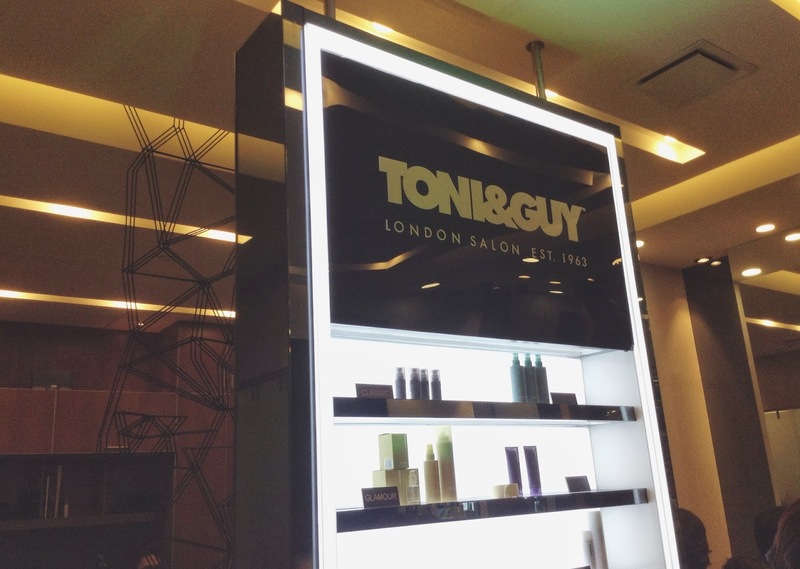 Hot from London Fashion Week, with sultry locks to slicked back shine, the Toni & Guy hair care range helps the style set cop the latest Autumn/Winter head-to-toe looks in a matter of minutes! From their selections of holiday hair trends, I opted for "Glamour". Like always, before styling, we were ushered to the shampoo area (their shampoo chairs are also massage chairs, by the way!!!) first. 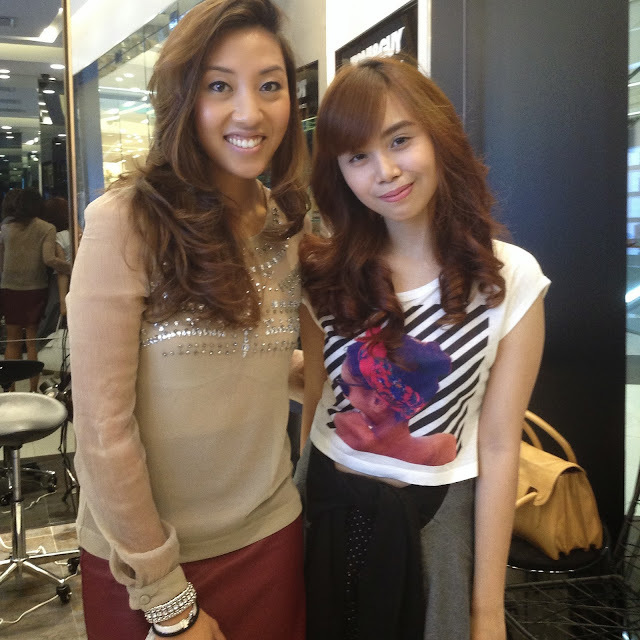 The Toni & Guy team applied heat protection spray on my hair before using curling iron (I badly need this product!! 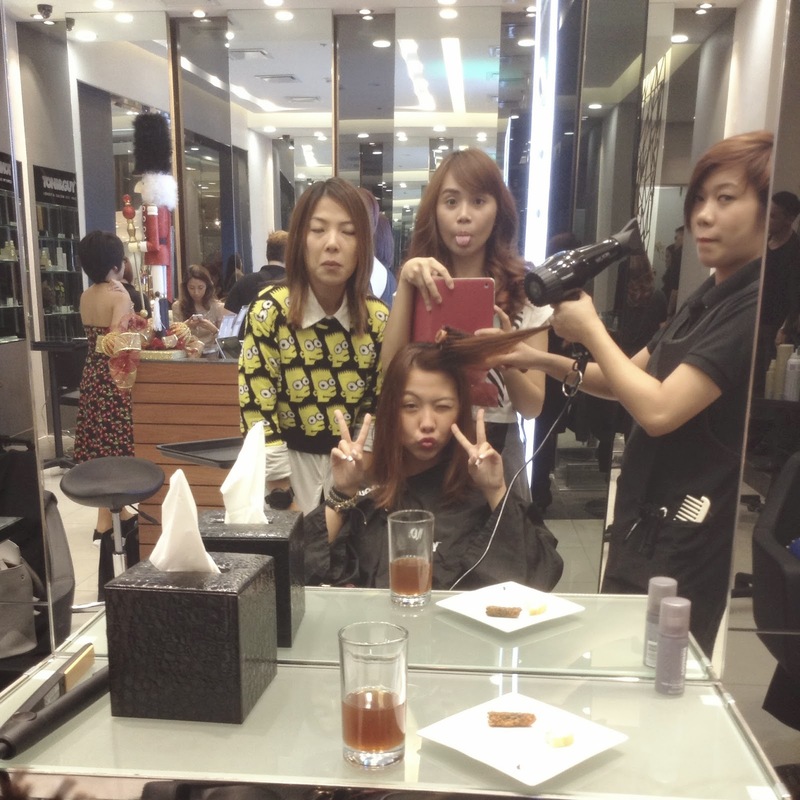 ), then serum drops, volume plumping whip and dry shampoo for a fresher look and better texture. 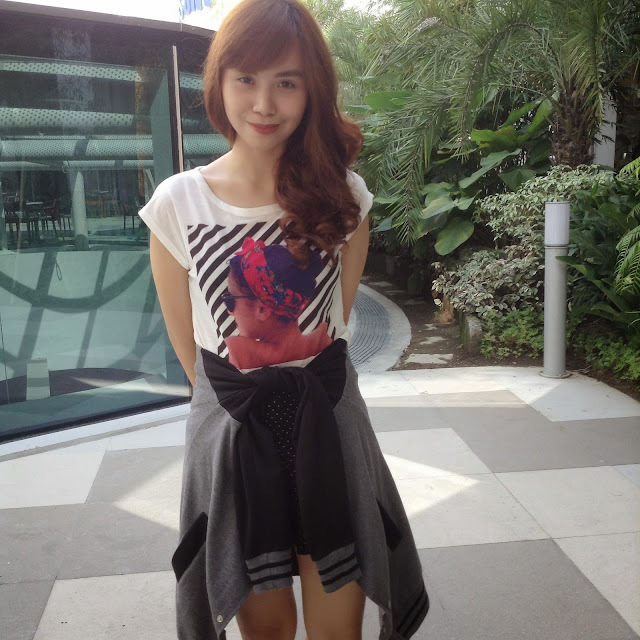 Up, down or creatively crazy, there are no limits to genuine top-to-toe style. 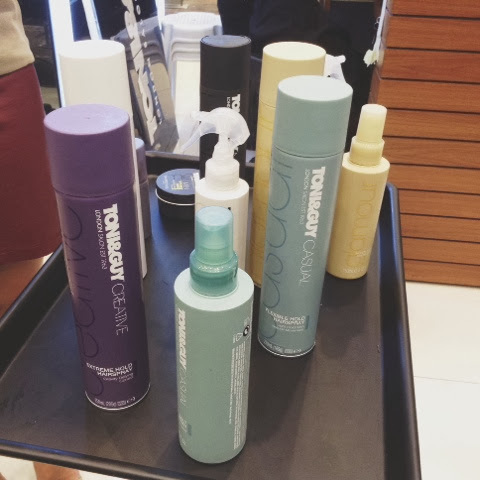 Say bye bye to limp locks and welcome the do's of the season with Toni & Guy's hair care collections. Toni & Guy products are currently available at select Watsons outlets.